The Movistar Yamaha MotoGP Team is gearing up for the Motorrad Grand Prix Deutschland, held this weekend. 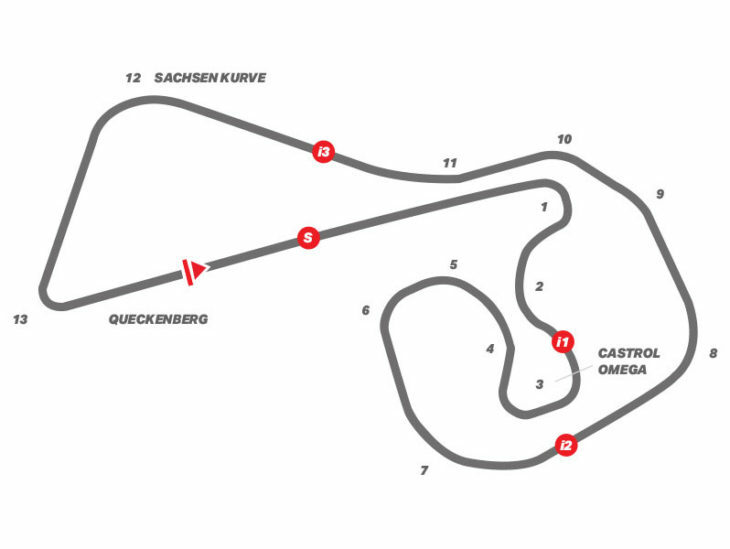 The race at the Sachsenring is the final round of the first half of the 2018 MotoGP World Championship season. Chemnitz (Germany), 11th July 2018 Following the Dutch Grand Prix, the closest race so far this season held almost two weeks ago, Movistar Yamaha MotoGP’s Valentino Rossi and Maverick Viñales are raring to continue their championship quest at the Motorrad Grand Prix Deutschland this weekend. Though he rode a competitive race in the Netherlands, Rossi heads to the Sachsenring feeling eager to make good on the Assen podium that he so narrowly missed. Holding second place in the rider standings, it’s his objective to reduce the 41-point gap to the championship leader by delivering a top result before MotoGP’s short summer break starts. After the fantastic battle in Assen, the team can’t wait to continue the championship at the German GP. Our riders felt competitive at the previous race. We’re determined to reproduce the good feeling we had in the Netherlands this weekend. Both Vale and Maverick have been able to get some rest and recharge their batteries, so they can give 100% again at the last race before the short summer break. The Sachsenring suits our bike reasonably well, however, bike set-up plays a vital role there. To match the settings to the track’s narrow nature, we need to start the weekend in the right manner on Friday. Last year we finished just off the podium, so this year it’s our goal to rectify this and to continue the work done at the last race. Assen was an incredible race, so I really want to get back on track again. I don’t know if we can repeat a race like that at the Sachsenring, but we’ll try to do everything to be at the front with the top riders. Last year’s German GP was not a very positive weekend for us, so it will be very important to understand our potential this weekend. We will have to work hard, starting from the first practice session on Friday, to get ready for the race, but I’m confident. I feel good and my team are working really well. The race at the Sachsenring is the last race before the short MotoGP summer break, so we want to do our best to make it a good battle on Sunday, to end the first half of the season in a good way. I’m really looking forward to arriving at the Sachsenring. I think we are getting the bike ready and we’re starting to see everything in a very positive way, allowing us to end the first half of the season properly. We have to fight to get as many points as possible to stay at the top of the championship. Fortunately, in Assen I felt very comfortable on the bike again and I had the same good feelings I’ve had in the past. We were able to solve the small problems we were having on the first laps of the race and that has put us at the level of the other riders on the grid. The podium was like a breath of fresh air and has given me extra motivation to keep at it with all my strength and give 100%, as always. Last year at the Sachsenring I finished just off the podium with a fourth position, so this year we’ll give our all to get back on the podium and continue on the good path we’re on.